Coca-Cola UNITED has received the “2018 Highest Execution Index” award in The Coca-Cola Company’s 2018 Market Street Challenge competition. 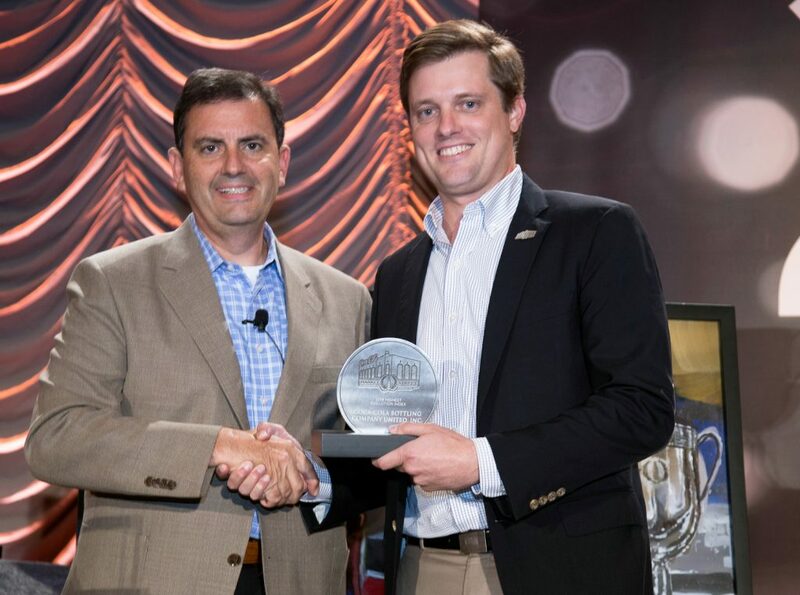 The Market Street Challenge recognizes executional excellence across the U.S. Coca-Cola bottling system. Five execution standards were measured: portfolio availability, outlet growth, expanded retail space, cold drink equipment and in-store activation. All bottlers across the U.S. participate, with nine bottlers chosen as finalists, competing for individual awards and, ultimately, to be chosen as the overall Market Street Challenge winner. Coca-Cola UNITED is the only bottler to be in the final group of contenders all three years of the competition. In 2016, the inaugural year, UNITED won the overall top prize and was named as the The Market Street Challenge Winner. The Market Street Challenge pays tribute to the original Coca‑Cola bottling operation, which opened in 1899 on Market Street in Chattanooga, Tennessee. Chattanooga, coincidentally, has been part of Coca-Cola UNITED’s footprint since 1924, a significant source of pride for our company. Congratulations to our entire Coca-Cola UNITED team! !